Donate a Car – It’s Easier than you think! Donate a Car makes car donations simple for both you, and the charity you love. We make used car donations, car removal, car recycling, or simply junking a car an easy process for you. We are honored to manage every donation made, and we are committed to providing exceptional customer service every step of the way. Your car donation holds monetary and sentimental value. Our donor support guarantee is that we’re here to honor both. 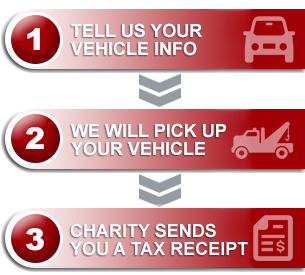 With integrity and attention to on-time detail, the gift of your charity car will be carefully handled for you so that you can easily gift the charity that matters most to you. MORE than just Car Donations! Donate a Car do not just recycle cars, it recycles vehicles in an environmentally friendly manner, If you have a newer or estate vehicle that you would like to donate, we have selling agents across the country that are ready to assist in maximizing your donation. We accept all types of vehicles for donation. Donate your Car, Truck, Van, SUV, Motorcycle, Boat or RV. Your used car donations make a difference to the charity that matters most to you. With hundreds of charities partnered with our program, you can choose almost any registered Canadian charity to gift. We will ensure their receiving process is easy as well. There are no fees charged to the charities at any time, so they can put each of your donation dollars to the good work they are doing on behalf of Canadians like you.